There are just those blogs you discover that you immediately love. That's how I feel about The Feminine Files. Beauty blogger Kristina Vieweg is such a fantastic writer, she takes fabulous photos and she has a knack for making me want every single product she writes about! Read on to find out how she started her blog, the foundation she can't live without and so much more. I moved around a lot as a kid, but I grew up mainly around the southern New Hampshire area and I ended up in Hudson where I attended high school. I took a 2 year Culinary Arts program in high school and I went on to earn my Associate's Degree in Culinary Arts from Southern New Hampshire University. I also interned at a resort in Maine and another one in Cape Cod which were both very fun and rewarding experiences. After doing the cooking thing for a while, I had kind of had enough (the hours were crummy and long). I ended up taking a job at Hannaford, where I met my now fiance through a friend. We started dating and a year later I was pregnant with our first child. Fast forward 7 years and we now have 2 beautiful girls ages 5 and 3! These days I am a stay at home mom/beauty blogger by day and I still work at Hannaford part time at night. I love the way my life is now, and I wouldn't change it for anything! I have always been interested in beauty, more so than most of my friends I think. I remember sneaking applying my makeup on the way to school, haha! In my adult life however, I had been following a lot of beauty blogs and I kind of just thought, “This is something that I would really like to do myself.” I think it’s fun and I love to think that my blog helps people make informed decisions regarding their makeup purchases. Plus, chatting with other bloggers and readers also helps keep me connected to the world outside of being a SAHM! It was fairly easy for me to come up with the name of my blog. I wanted it to be a collection of all things womanly and feminine, so The Feminine Files was literally the first thing that popped into my head! 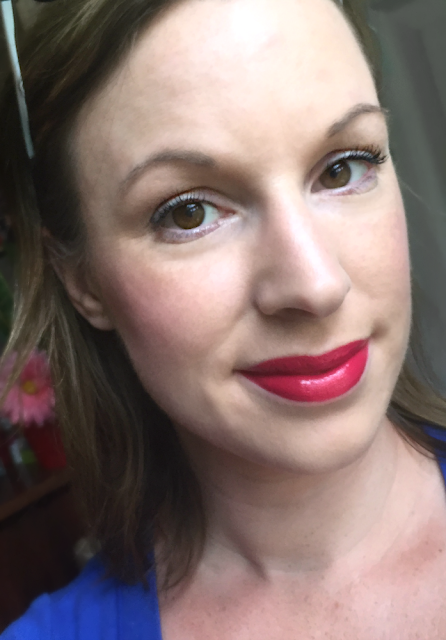 Oh boy, my top 5 beauty products...this shouldn't be hard, right? 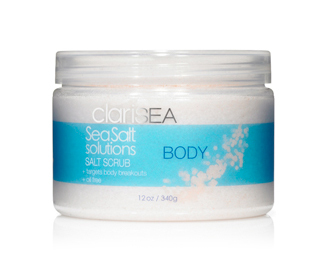 clariSEA Clarifying Sea Salt Scrub. Recently my number 1 favorite product. It has pretty much changed my acne prone skin for the better and I am never looking back. Plus it’s all natural and affordable! 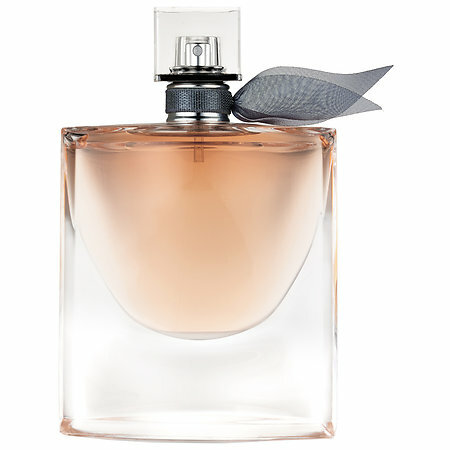 Lancome Color Design Sensational Effects Lipcolor Lipstick in Love It. Literally the perfect everyday pink shade that really makes any look polished and put together. I will never run out of this makeup staple! The Real Techniques line of makeup brushes. They are very affordable and well made. Sure, they aren’t the most luxurious on the planet, but I find myself using mine 80 percent of the time. 1) Be true to yourself. This isn't really a tip or “hack” but if you feel good in your makeup, you will probably look good too. I rarely wear a liner on my waterline because I don't particularly like it on me, but when I do wear it I always feel a little bit weird. Just do what you feel comfortable doing. If that means just BB cream, or a full face of makeup with blue lipstick, then just rock it. 2) Don't over pluck your eyebrows (like me) as a teen or an adult for that matter. Just don't. There isn't much I can do with them now and I am totally missing out on the gorgeous full eyebrow trend going on right now! 3) Use a setting powder. Unless you are really aiming for a dewy look, a setting powder is a necessity! It helps keep shine at bay all day and makes makeup last much longer! I never used to use one, but now I can't live without them! My favorite? Too Faced Primed & Poreless Pressed Powder. I only use a tiny bit and it is lasting me forever! I really do enjoy blogging, but even that can start to feel like a job and get a bit overwhelming. In my spare time I LOVE to garden or just sit outside and watch the kids play. We are also a big camping family and we usually go about 2-3 times a year, this year we are up to 4 times! When we get time away from our lovely children, my fiance and I love going to concerts. We have only been to 1 this year though ... the ticket prices are becoming outrageous! Other than that we just like to relax on the couch and watch TV shows or movies together after the kids go to bed! You can find me on Facebook, Twitter and Instagram. I just adore Kristina, she is refreshing in the blogging world! It's fun to read more about people! Awesome write up... I love these and love Kristina! SETTING POWDER!! I totally agree with that! I need that stuff!! I love this series so much. I read Kristina's blog daily and I love knowing more about her. I so agree with setting powder. I touch my face way too often and without it I'd have no foundation left within an hour of applying. I love her and her blog, she's such a sweet person and has a great writing style! Thank you Jamie for doing this feature and everyone else for your kind words! I really enjoy these segments and learning more about our fellow beauty blogger buddies! I love Kristina's blog, and this lovely interview let us get to know this lovely women even better. This series is so amazing, Jamie! Love learning more about Kristina!